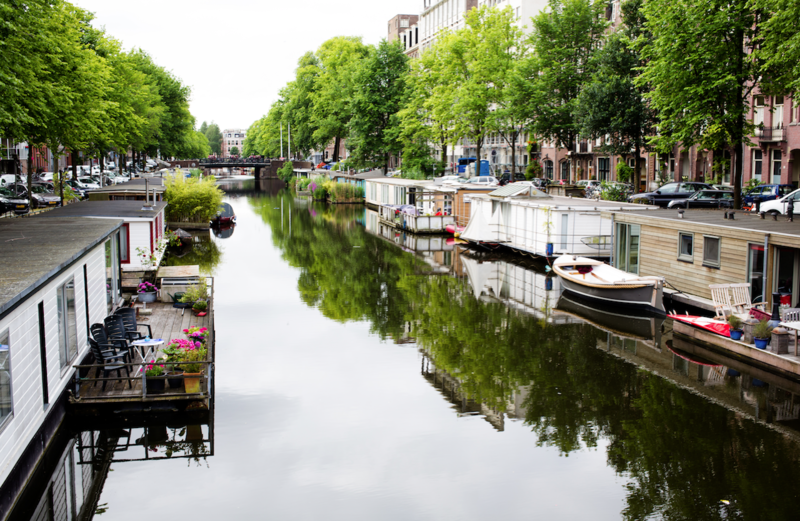 It turns out many people living in houseboats on the Amsterdam canals and surrounding waters have an above average interest in sustainable living. A great number of them have turned their homes in super energy-efficient floating houses. To inspire others living on the water in Amsterdam and share their knowledge and experience, City-zen organised a special evening called ‘Duurzaam wonen op het Water’ (sustainable living on the water) on the 14th of November in Amsterdam. We brought together energy experts, experts by experience and people who are involved in renovating houseboats to exchange knowledge, experience and practical tips. The event proved to be in high demand with this specific group of ‘Amsterdammers’: more than 70 people participated in the session. In the days after many of them submitted a request for the City-zen retrofit subsidy for ambitious energy saving measures. During this evening we learned that every ship in combination with its berth has specific challenges and solutions. Sustainability and energy efficiency is becoming a selling point for the specialised docks in the North of the Netherlands. (as the houseboats return to Amsterdam after the works). The docks allow houseboat owners to do parts of the work themselves and bespoke solutions and technical innovations are common practise. A lesson the onshore building industry can learn from! Airtightness which is a returning topic when renovating traditional homes on shore, is something that is hardly a problem on a steel ship. On the contrary, allowing air flow is much more of a challenge. As this has to be done mechanically anyway, heat recovery is a logical option. The large decks double as sun terrace, for day light access and also are the ideal place for PV panels and solar collectors. Many house boats, especially sailing ships, use diesel or oil for heating rooms and tap water. A connection to a district heating network is not the first option. So looking for individual all-electric alternatives seems more logical. Also wood pellet boilers are in high demand. The depth and flow of the water below the boat define the opportunities to use water-water heat pumps for heating and comfort cooling. Every berth has a different potential. In the Netherlands a shore sewer connection for houseboats is compulsory from 2017 onwards. This significantly increases the water quality of the canals. The options for finance and support for houseboat owners are limited. The City-zen subsidy is a very interesting option for this target group.